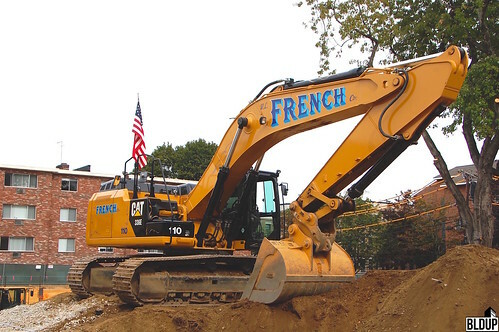 Established in 1972, W. L. French Excavating Corporation (WLF) is a privately owned family business that provides a broad range of construction services including; Mass Excavation, Site Remediation, Heavy Utility Construction & Installation, Soil & Waste Management and Snow Services for clients throughout the New England region. WLF’s forty plus years of construction experience is bolstered by its team of 185 construction professionals and a fleet of 250 pieces of heavy equipment. In 2017, WLF's annual revenues amounted to $85 million. With sales of the luxury waterfront building already underway, site work has started for The Mark at DeNormandie Wharf in East Boston. The project will include 107 condominium residences with over 6,500 square feet of ground-floor public shared workspace. Resident amenities at The Mark will include a 5,045 square foot private elevated courtyard with grilling areas, fitness and wellness spaces, lounge areas and small, programmable function spaces. As part of the project, a new 240 linear foot Harborwalk section will be constructed along Boston Harbor, filling a missing link in the Harborwalk between Carlton Wharf and Lo Presti Park. 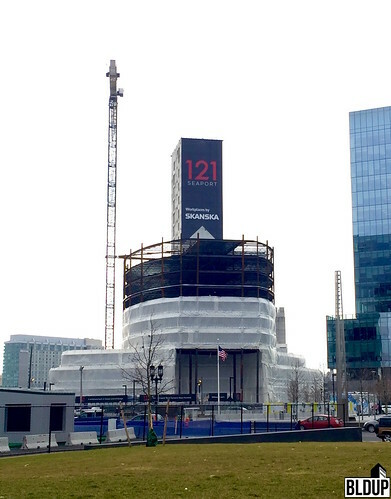 With structural framing complete, brick facade install is starting at 249 Third Street just outside Kendall Square. This new building is set to include 84 apartments, a mix of studios through three bedrooms. Resident amenities will include a private roof deck along with a fitness center and yoga room. Construction is set to be complete in late summer. Construction is now complete for the 164,000 square foot office, lab, and retail project at 399 Binney Street in Kendall Square. Over 75% of the space is already spoken for with new tenants, Rubius Therapeutics, Relay Therapeutics and Celsius Therapeutics in the process of fit-out and move in. The building also features a green roof deck. Renderings have been released for the upcoming luxury condo project in East Boston, The Mark at DeNormandie Wharf (formerly known as the Hodge Boiler Works). The waterfront development will feature 107 units along with 6,500 sf of ground floor public shared workspace. Resident amenities will include an outdoor courtyard with a fire pit along with a fitness center and several immersive entertainment lounge areas. 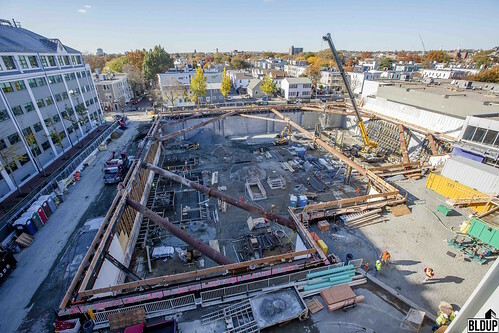 Framing has reached full height for this new five-story mixed-use project Callahan Construction Managers is building in Kendall Square. 249 Third Street will feature 84 residential units along with just over 1,500 square feet of ground-floor retail. Residents will have access to a fitness center, clubroom, private roof deck, and a landscaped courtyard. 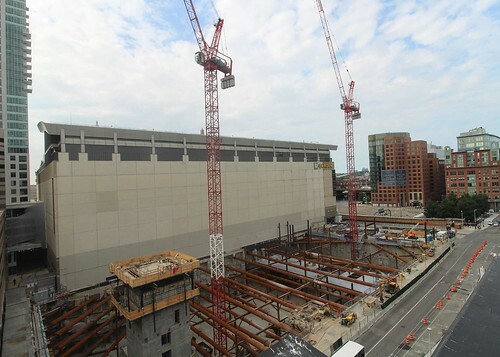 Callahan is on track to complete the 91,682 square foot project in late August 2019. Window install is nearing completion for the upcoming office/lab building at 399 Binney Street in Kendall Square. 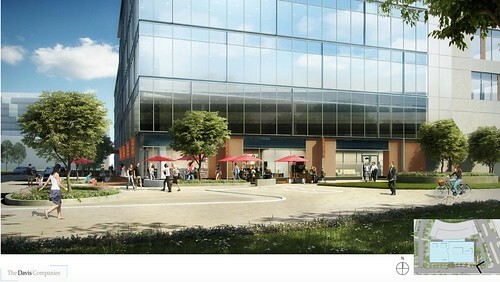 The 164,000 sf project will be part of the existing One Kendall Square campus. 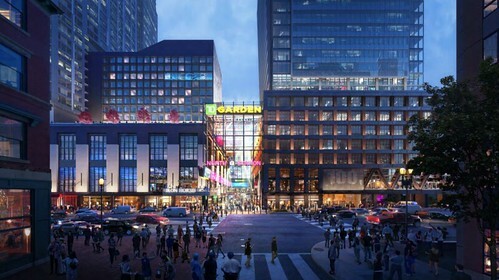 Around 1,500 sf of retail space will be located along 399 Binney Street's ground floor fronting the existing pedestrian plaza leading to the Kendall Square Theater. A Certificate of Occupancy has been issued for the new academic building at Wentworth Institute of Technology. An official ribbon cutting is scheduled for next week. The four-story building features 78,000sf of academic space. The state of the art space is designed to accommodate new lab and innovation space for the school's engineering and science departments. The project is an approved waterfront mixed-use development featuring 119 condominium residences with over 7,200 square feet of ground-floor publicly-accessible waterfront work share space. Resident amenities at Hodge Boiler Works will include a 5,045 square foot private elevated courtyard with grilling areas, fitness and wellness spaces, lounge areas and small, programmable function spaces. 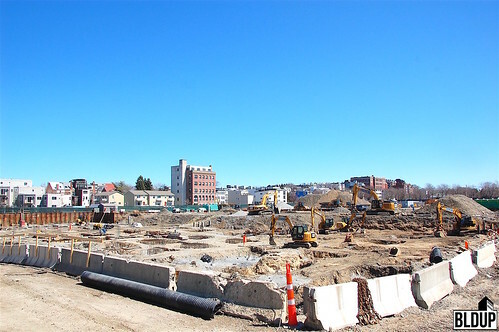 Callahan Construction Managers continues foundation and site work at 249 Third Street in Cambridge. Block 1 and Block 2 foundation walls are now complete and 50 % of the Level 1 concrete slab is complete. The upcoming mixed-use building, located in Kendall Square, is being developed by Equity Residential and designed by ICON Architecture. When complete the building will feature 84 apartments and a ground floor retail space. Residents will have access to a private roof deck, landscaped courtyard, and ample on-site bicycle parking. 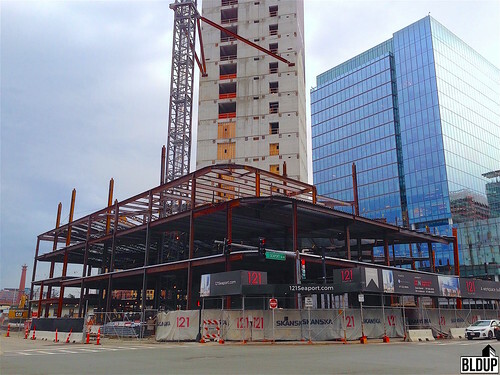 With framing in place facade work is starting at 399 Binney Street in the very busy Kendall Square, Cambridge. 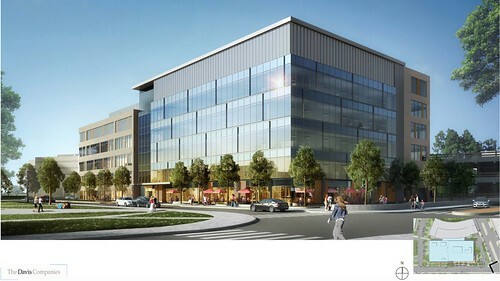 This mixed-use building will featuring 164,000 sf of office, lab and retail space. 75% of the space is already leased to three drug specialists, Rubius Therapeutics, Relay Therapeutics and Celsius Therapeutics. A green roof deck will provide open space for tenants of the building. Construction is ongoing and the exterior finishing is currently being completed at Brandeis’ New Residence Hall in Waltham. New energy-efficient residence hall opening Fall 2018 housing 164 students. The 53,000-square-foot building will incorporate two historic towers of Brandeis’ iconic Usen Castle dormitory, partially demolishing the aging complex and expanding capacity by 60 beds. The building will feature an open and inviting main stairway, and improved movement between floors. A modern, natural light-laden multi-level bridge enclosed with a curtain wall will connect the new building’s two wings. Amenities at the new residence hall will include several common rooms, an outdoor courtyard, study lounges and a communal kitchen. The new residence hall will feature multiple sustainable features, including an array of rooftop solar panels to partially power the residence hall and a 30- to 40-well geothermal system to heat and cool the building. Lynnfield based, KEMS Corporation has successfully remortgaged their property at 95 Fawcett Street in Cambridge for $18.86 million via MountainOne Bank. The existing property is a 20,523 square foot parcel on which stands a 20,150 square foot warehouse. 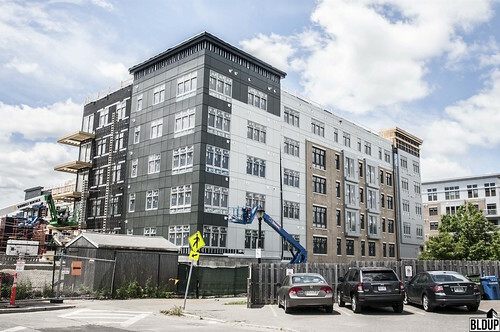 Atmark Cambridge, a newly-constructed apartment development, is located just across Fawcett Street and sits in the highly active Alewife Station, Cambridge neighborhood. 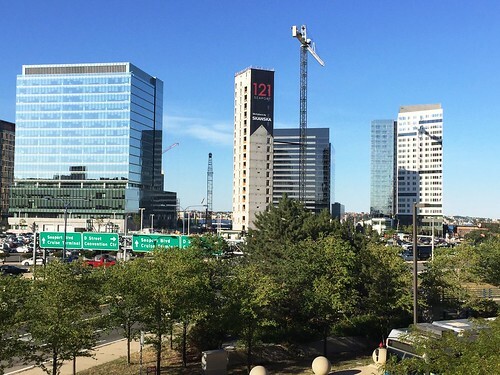 Cancer drug specialist Rubius Therapeutics has leased 45,000 square feet at Alexandria Real Estate Equities’ new 164,000-square-foot 399 Binney Street development in Kendall Square, becoming the property’s anchor tenant. Per Alexandria, 399 Binney Street is 75%-leased, with other committed tenants including Relay Therapeutics and Celsius Therapeutics. 41,000 square feet remain for lease at 399 Binney Street, which is expected to open beginning in the fourth quarter of this year. 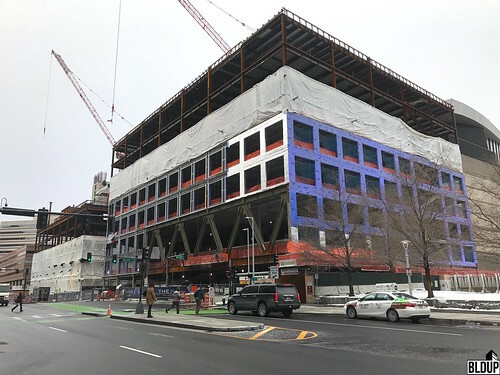 399 Binney Street is part of the nine-building One Kendall Square office and retail campus, and will be built to LEED Gold efficiency certifiable standards. 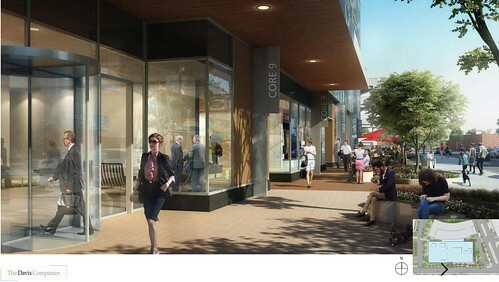 The new-construction building also includes a 1,500-square-foot ground-floor retail space. 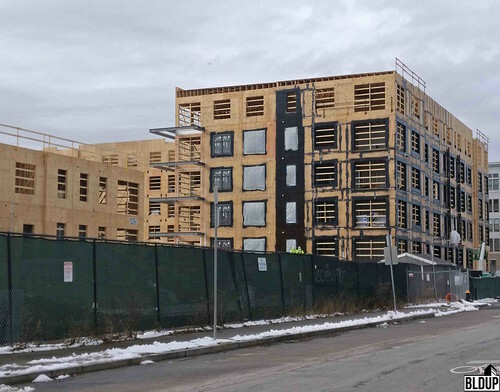 The exterior of Brandeis University’s $38 million, 164-bed New Residence Hall, recently topped off, is now being weatherproofed. Moisture-resistant cladding has been installed across the facade, and fireproofing is now being applied above the cladding. In the coming months, exterior finish panels and windows will be installed along the facade. The building will include a bridge connecting levels two through four surrounded with a floor-to-ceiling glass curtain wall, allowing for abundant natural lighting. 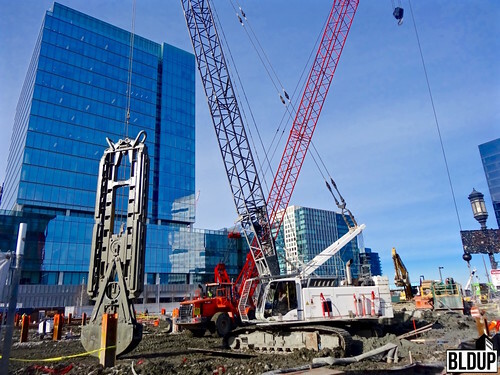 W. L. French Excavating Corporation has completed the mass and footing excavations for 399 Binney Street, an upcoming 172,500-square-foot lab and office building located in Kendall Square, one of the United States’ strongest life sciences real estate markets. W. L. French has hauled and disposed of over 60,000 tons of soil, and is currently preparing and installing basement slab subbase materials. As part of W. L. French’s contract to install site utilities at 399 Binney, work has begun to connect water services to the project site. W. L. French will install water infiltration, drainage and sanitary sewer systems throughout the site in Spring 2018. 399 Binney’s excavation is supported by an internally braced support of excavation system, which was installed between May and July 2017. 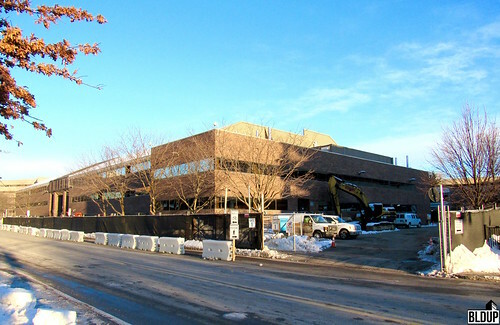 Construction of the foundation of the Wentworth Institute of Technology’s new $55 million Multipurpose Academic Building in Mission Hill is well underway, with W. L. French Excavating Corporation performing below-grade electrical, water and sewer utility installation, as well as preparing the site to allow structural pile driving to proceed. The precast concrete piles have been driven into the ground throughout the 0.8-acre Wentworth Multipurpose Academic Building site. Steel sheet piles have also been driven to support the 20 foot deep excavation for the below grade portion of the building. W. L. French is currently proceeding with the basement excavation. 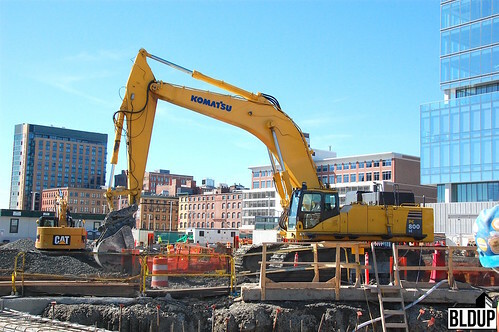 W. L. French Excavating Corporation has broken ground on 399 Binney Street, an upcoming 172,500-square-foot research and development building that will expand the existing nine-building One Kendall Square office and retail campus in Kendall Square. W. L. French has successfully completed site demolition and utility relocation and is now at work excavating the building's basement level. 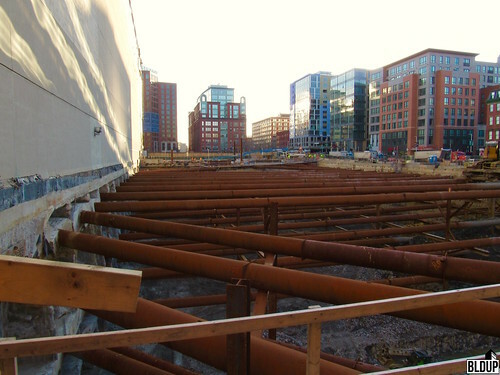 A temporary internally-braced sheet pile cofferdam has been installed across the project site to support and retain the basement throughout excavation. 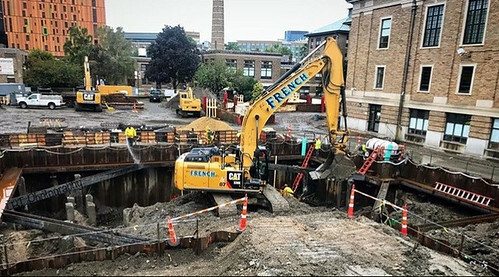 399 Binney Street's basement will be 22 feet deep; W. L. French will also operate dewatering and groundwater treatment systems on site and dispose of upwards of 65,000 tons of soil. Revisions to the Hodge Boiler Works development on the East Boston Waterfront were approved at yesterday’s Boston Planning & Development Agency (BPDA) Board Meeting. 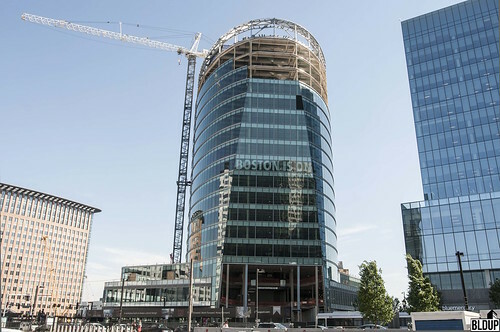 The development will now feature 119 condominium residences overlooking the Boston skyline, in addition to 7,200 square feet of shared-work space and a Harborwalk extension. 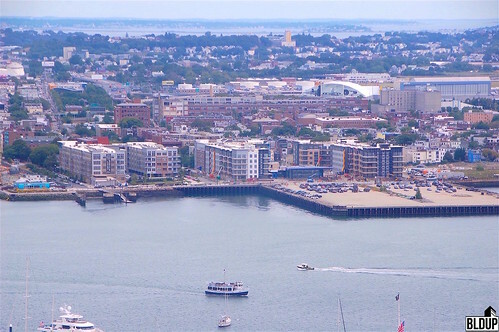 The development’s change from apartments to condominiums signifies the growing strength of the East Boston Waterfront condominium market. 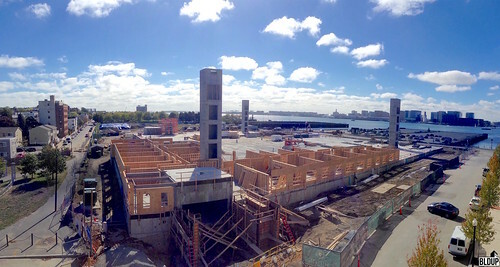 The nearby under-construction Slip65 development, the East Boston Waterfront’s first condominium offering, has been seeing very strong demand, with 50% of residences reserved for prices ranging from $700- to over $1200 per square foot; some residences at Slip65 are under agreement for over $1.5 million. The Hodge Boiler Works development will now go before the City of Boston's Zoning Board of Appeals (ZBA) for review; ZBA approval will be required in order for the building to proceed with construction. 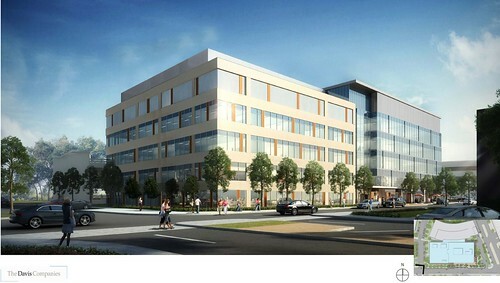 The Wentworth Institute of Technology breaks ground next week on a new $55 million, 78,000-square-foot academic building that will support the school's engineering, science and innovation programs and will be the first new academic structure on the Wentworth campus in 45 years. A groundbreaking ceremony for the building with guests including Mayor Martin J. Walsh will be held at the project site, located in Mission Hill, next Wednesday (June 21st, 2017) morning. Occupancy of the new building, which will contain laboratory and office space in addition to presentation and gathering areas for students, faculty, and staff, is anticipated in Spring 2019. Wentworth's new building will house the school's new Biological Engineering Program, in addition to its' Biomedical and Civil Engineering programs; the maker space for Wentworth’s Innovation + Entrepreneurship Center, Accelerate; and a new manufacturing lab. “Wentworth is a leader in engineering, technology, design, and management education, and this new building will help our students prepare for the opportunities of the knowledge-based economy of the 21st century,” said school President Zorica Pantić. “Wentworth’s curriculum is evolving, and this requires new and different teaching and learning spaces with configurations that promote interdisciplinary approaches to solving the technical challenges of our day,” said the school's Vice Presidenct for Business David Wahlstrom. Brooke Charter High School has acquired the 2.38-acre Mattapan parcel on which it will build a new 95,000-square-foot school building for $1,419,816, or $596,561.35 per acre. The land’s seller is New Boston Fund, developer of the adjacent Olmsted Green residential development. 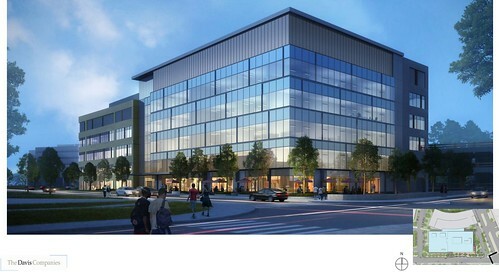 The Boston Planning & Development Agency (BPDA) approved Brooke’s new building in March. Construction of Brooke’s new building is anticipated to commence this Spring, with occupancy expected by the start of the 2018-2019 academic year. 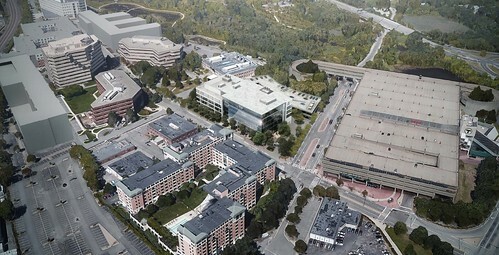 The Wentworth Multipurpose Academic (MpA) Building, which will feature approximately 69,000 square feet of academic space to accommodate an expansion of the Wentworth Institute of Technology's academic engineering programs, was approved at today’s Boston Planning & Development Agency (BPDA) Board Meeting. The building can now proceed with construction. 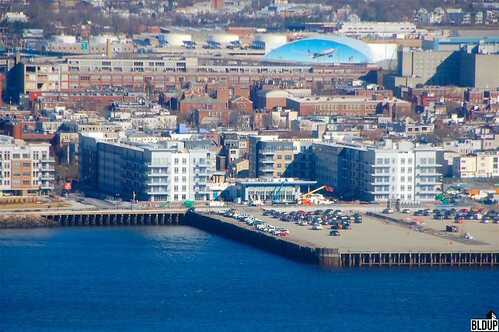 The Davis Companies, who acquired the approved 2.5-acre Hodge Boiler Works development site on the East Boston Waterfront for $5 million in March 2015, proposes to revise the project plans to include additional residences, a new public work share space component and expanded public waterfront open space. 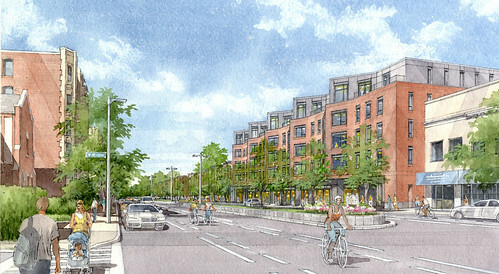 Davis proposes to construct 119 rental apartment residences at Hodge Boiler Works in addition to 7,200 square feet of public waterfront work share space. 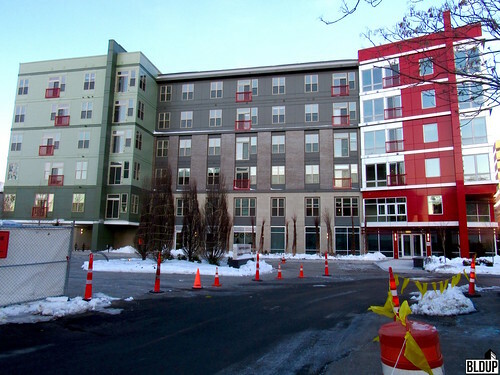 The previous project plan, approved by the Boston Planning & Development Agency (BPDA) in 2012, consisted of 95 apartments, six bed-and-breakfast hotel rooms and a 576 square foot cafe. 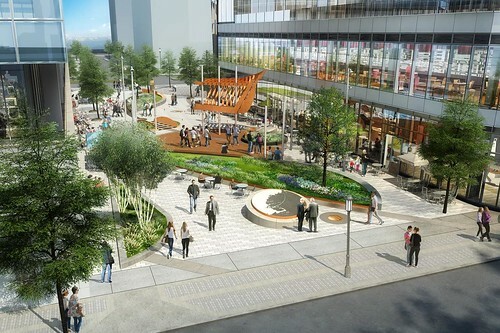 The new project plan includes a total of 34,500 square feet of public open space. A 42 boat slip marina, included in the approved plan, has been eliminated. 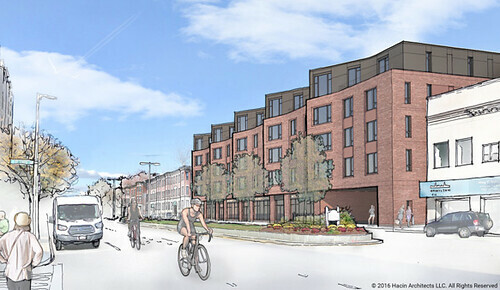 The Boston Planning & Development Agency (BPDA) is now reviewing the revised Hodge Boiler Works plans. The latest Hodge Boiler Works renderings are posted above. The Brooke Charter High School, a 95,000 square foot school building that will accommodate approximately 780 students in grades eight through 12, was approved at last Thursday (March 16th)’s Boston Planning & Development Agency (BPDA) Board Meeting. The building will provide Brooke Charter School with new classroom and recreational space and will provide the school with a permanent home for its’ recently introduced high school program. Construction of the building is anticipated to commence this Spring, with occupancy expected by the start of the 2018-2019 academic year. The Wentworth Institute of Technology is proposing to construct a new 69,000 square foot building in Mission Hill to help facilitate the expansion of its' engineering programs. The building would feature the latest engineering equipment and lab technology, along with an open layout designed to encourage collaborative learning. Wentworth has filed plans for the building with the Boston Planning & Development Agency (BPDA), who is now reviewing the project. The City of Cambridge's Planning Board will hold a hearing this Tuesday (September 6th, 2016) to review Equity Residential's proposal to add 14,484 additional square feet of basement level amenities and utilities to the approved 249 Third Street apartment project in Kendall Square. The basement level would contain a gym and bike parking in addition to utility spaces and storage. Under the revised proposal, the height, building footprint and number of dwelling units at 249 Third Street would remain unchanged. 249 Third Street will feature 84 residential apartments ranging from studios to three-bedrooms and 1,540 square feet of ground-floor retail. 249 Third Street was approved for construction by the Planning Board in October 2015; construction has not yet commenced. The Cambridge Planning Board has approved a residential building at 95 Fawcett Street for construction. 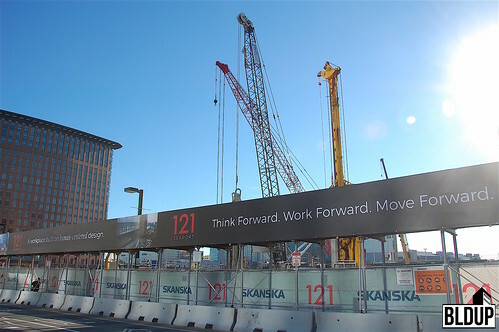 Developed by KEMS Corporation, who is also building 170 West Broadway and Collins Mansion Condominiums in South Boston, the building will feature 44 condominiums located convenient to the Alewife rapid transit station. 44 resident parking spaces will be constructed on site, down from previously proposed 48 spaces. 95 Fawcett Street will be a transit-oriented development project. Discounted public transit passes will be available to residents along with private shuttle service to Alewife Station. The developer will contribute $25,000 to the City of Cambridge towards planning for an Alewife bicycle and pedestrian bridge and commuter rail station. The developer will also contribute $25,000 to the City of Cambridge towards a Hubway station for the area. An on-site bicycle storage facility with 60 long-term bicycle spaces and eight short-term bicycle spaces will be constructed at 95 Fawcett Street with air pumps, automatic power assist doors and bicycle maintenance tools. The following is a link to the Cambridge Planning Board's Notice of Decision for 95 Fawcett Street. More information about 95 Fawcett Street is posted below. New structural piles have been driven at Portside at East Pier—Phase Two. The construction team is now pouring concrete on top of the new pile caps to build foundations for the project's two new buildings. A sheet pile wall has been installed surrounding the project site. Work continues on excavation of the buildings' underground parking structure. Developer Edward Doherty of KEMS Corporation, who is developing significant projects in South Boston, proposes to build a new five-story, 52,852 square foot residential building at 95 Fawcett Street near Alewife Station. The building would contain 44 residential condominium units; five units would be designated affordable. Residents at 95 Fawcett Street would have access to a 1,826 square foot roof deck. 48 parking spaces would be built on site both at and below grade. Doherty closed on the acquisition of the 95 Fawcett Street parcel in February 2016. An existing two-story warehouse building would be demolished. The following is a link to the special permit submission to the Cambridge Planning Board for 95 Fawcett Street. 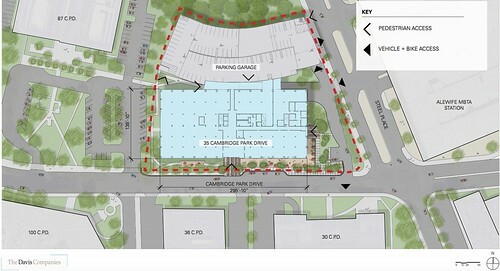 The development project at 130 CambridgePark Drive has a new name: Ashton Cambridge. The Hanover Company, developer of Ashton apartment buildings across the nation, closed on the acquisition of the fully-permitted Ashton Cambridge site in November 2014 for $9 million. Developer The McKinnon Company guided the Ashton Cambridge project through approvals under Equity Office's former site ownership. New photographs of Ashton Cambridge are posted above. Additional project information, including architectural renderings, is posted below. 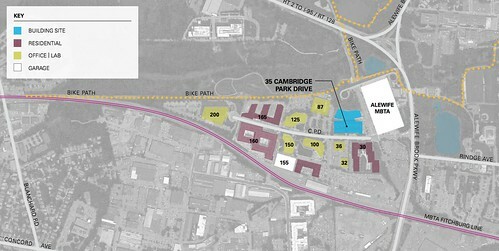 The Hanover Company also owns the fully permitted 88 CambridgePark Drive project site. Equity Office also sold 88 CambridgePark Drive to The Hanover Company. Construction of 88 CambridgePark Drive has not yet begun. 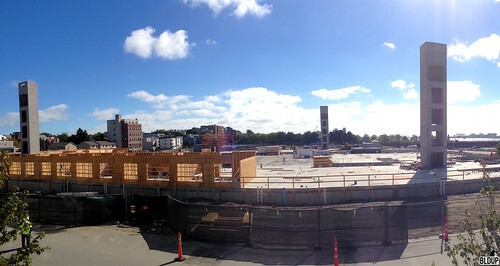 Foundation preparations are in full force at Phase Two of Portside at East Pier. W. L. French Excavating Corporation is performing initial earthwork, and J. F. White Contracting Company is driving concrete piles. Two buildings are under construction that will contain a total of 296 residential units. Expected completion of pile driving at Portside at East Pier—Phase Two is by April 2016. A total of 97 piles will be driven. Construction is expected to last roughly 30 months, with expected completion in Fall 2018. 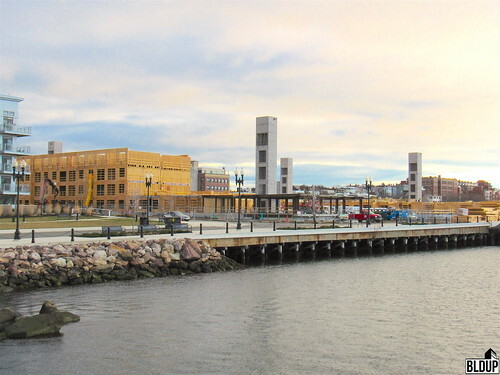 Portside at East Pier—Phase Two is located at the intersection of Marginal and Bremen streets on the East Boston Waterfront. 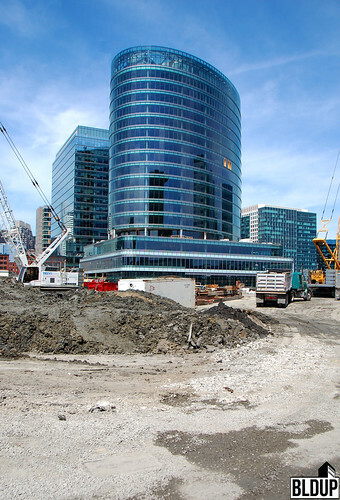 Note: Cranshaw Construction has also begun work on Boston East, another East Boston Waterfront residential building. 95 Fawcett Street was sold Wednesday to 95 Fawcett Street LLC, a limited liability company registered to Edward Doherty, President of residential developer KEMS Corporation. Sale price was $4,650,000 as recorded in the Middlesex South Registry of Deeds. Seller was 87-89 Fawcett Street LLC, a limited liability company registered to Peter Givertzman, ‎President of furniture company Oriental Unlimited Inc. Oriental Unlimited Inc. has been based at the existing warehouse at 95 Fawcett Street and currently operates at adjacent 68 Moulton Street in Cambridge. 87-89 Fawcett Street LLC bought 95 Fawcett Street in October 2008 for $1,644,000. KEMS Corporation has built a number of residential developments in the Boston area. 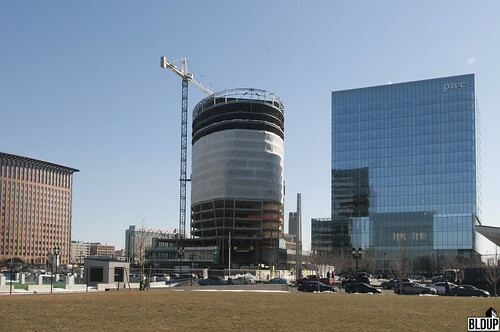 KEMS Corporation is currently building 170 West Broadway and Collins Mansion Condominiums, both under construction in South Boston. 95 Fawcett Street is a 20,523 square foot parcel on which stands a 20,150 square foot warehouse. 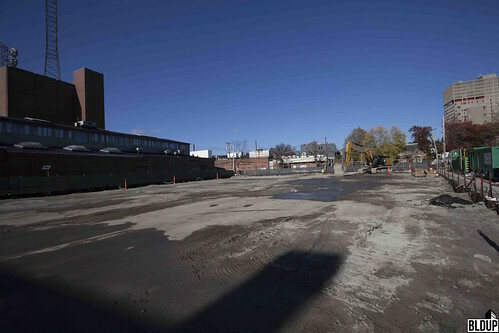 The parcel is located directly across Fawcett Street from Atmark Cambridge, a newly-constructed apartment development. We are excited to announce that construction has begun on Portside at East Pier—Phase Two! We have word that Cranshaw Construction, the project's General Contractor, will begin driving piles next week. Initial site preparations are currently underway. A pile driver is now parked on site; new signage has been installed by Cranshaw Construction. Note: Cranshaw Construction will also soon begin work on Boston East, a 200-apartment East Boston Waterfront development.